Mental health and substance use disorders are the world’s leading cause of disability worldwide, according to the World Health Organization. Globally, over 300 million people suffer from depression alone. 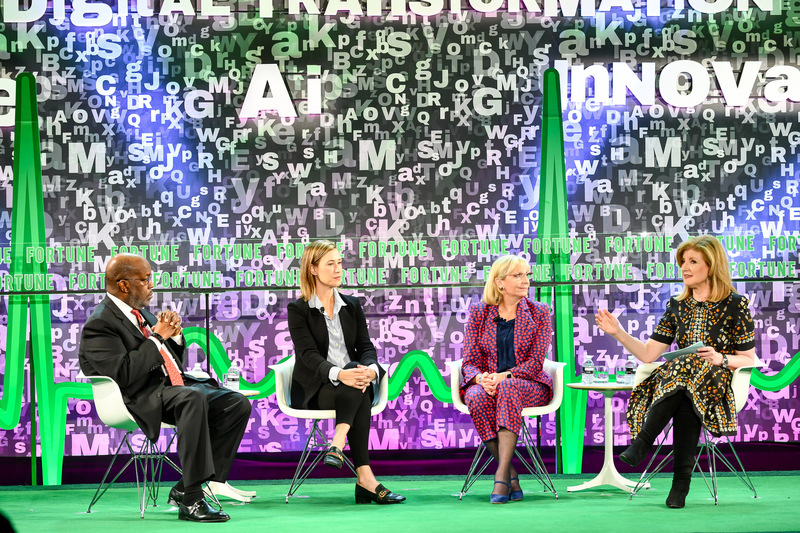 At the 2018 Fortune Brainstorm HEALTH conference in Laguna Niguel, CA on Monday, a panel of experts–Deborah DiSanzo (general manager of IBM Watson Health), Amy Powell, (president of Paramount Television and Digital Entertainment), and Bernard J. Tyson (chairman and CEO of Kaiser Permanente), moderated by Arianna Huffington (founder and CEO of Thrive Global)–expanded on why we need to change how we think about, treat, and discuss mental health conditions. The conversation returned multiple times to the effects of technology on mental health, especially among young people. “As well as celebrating what technology makes possible, we are becoming much more aware of the unintended consequences,” said Huffington. Studies have shown that more time on social media leads to greater levels of unhappiness in teens. But the discussion also touched on the various ways social media can be used to improve society. In certain areas of Italy, for instance, IBM Watson observed positive outcomes where social media actually helped reduce loneliness among the elderly. IBM Watson has also partnered with Tiatros, an AI platform, to bring together veterans with PTSD and create personalized treatment plans. Thrive Global will continue to cover key sessions from Fortune Brainstorm HEALTH 2018. You will find this year’s agenda here, and you can livestream many of the conference’s sessions here.